" Linda was very patient and handle our matter in a timely manner. I Would recommend her to friends and family. " " Linda was very professional and easy to work with. I was nervous because I don’t live in the same city, but she got the job done in a very timely manner. Communication definitely wasn’t an issue at all. She’s awesome and I would recommend her to everyone. " 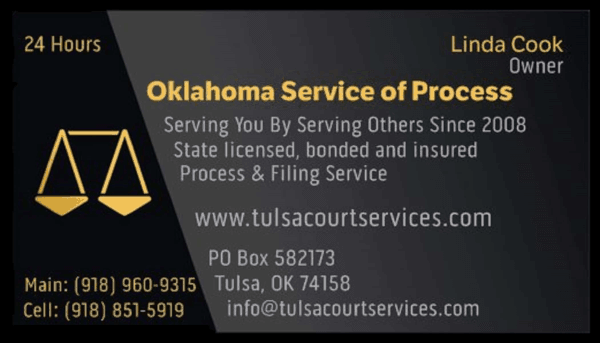 " I have used this process server company several times and have never been disappointed. I've even had papers served on holidays. 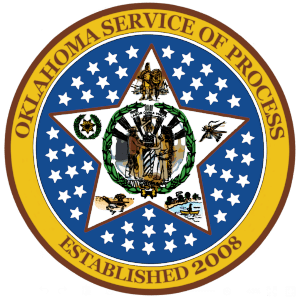 Give them a call for your process serving needs for the entire state of Oklahoma. " " Fast excellent service great communication would recommend "